An entertaining film that brought some laughs and some serviceable action, but ultimately felt like a wannabe Avengers. Although a definite improvement over the travesty that was Batman v. Superman: Dawn of Justice, it was still far from the (overrated) high bar of Wonder Woman. The film rushed through its introduction of the new characters leaving most of the newbies as one-dimensional freaks with gifts, and the primary conflict itself suffered from a paper-thin villain and a drastic lack of urgency and gravitas. 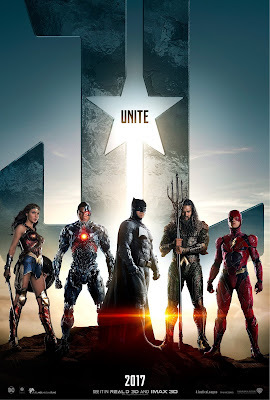 Justice League also suffered from being tonally unevenly throughout its near 2-hours run, and it was clear that there were more than one pair of hands involved in the creation of this film. From the hyper-realistic and over-stylised shots of Zack Snyder to the oddly more intimate and less grandoise moments by (likely) Joss Whedon; similarly, for every zinger and witty repartee, there were ten equally eye-rolling clunkers and clumsy bantering. Wonder woman remained the most interesting character with Superman a close second; similarly Gal Gadot and Henry Cavill were both very charismatic and embodied their characters, especially Cavill who should consider venturing into comedy more. Ben Affleck is better as Bruce Wayne rather than as Batman; Jason Momoa made Aquaman a film worth looking forward to. Unfortunately, Ezra Miller's maniacal, child-like, Barry Allen was made to be too much of a wisecracker and it bordered on being annoying (and after 4 years on TV, CW's Grant Gustin's The Flash somehow still seemed a better fit for the character), his lacked of backstory definitely also did not help; same for Ray Fisher's Cyborg who remained a cipher. I don't feel like I want to know more about the last two superheroes. The action sequences were rather messy (very unlike Snyder) and were not as well shot or choreographed, but at least they did not drag on for longer than necessary. But even then, it lack the awe and spectacle that one has come to expect of superhero franchises (blame it on Marvel). Worse of all, the final fight lacked the money-moment where you would expect all the heroes to come together (preferably in a single frame) to defeat the villain (see: Avengers I and II). Which was a shame, as that is what fans wanted to see. Danny Elfman seemed to have lost his mojo and turned out another lacklustre and unmemorable score. When was his last good score? 2006's Charlie and the Chocolate Factory? 2008's Milk? Or 2010's Alice in Wonderland? Fabian Wagner was the cinematographer for the film and he at least used a few interesting shots to capture the characters and his action. It will be interesting to see how he progresses from television work (albeit the cinematic Sherlock and Game of Thrones franchises) to the large screen. I am glad I did not fork out the extra for IMAX or 3D and I am not sure if the latter will be actually worth it. Stay till the end for both a cheeky, unrelated, mid-credits scene and a do-we-really-want-it? post-credits scene. 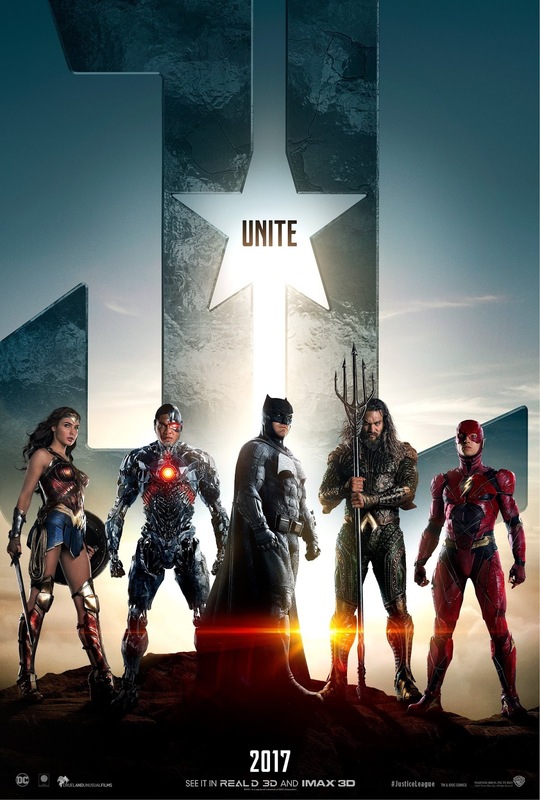 Justice League was better than expected, and despite Whedon having a hand in it, the DCEU is still unable to climb out of the doldrums of its own making. But at least Wonder Woman still slays.